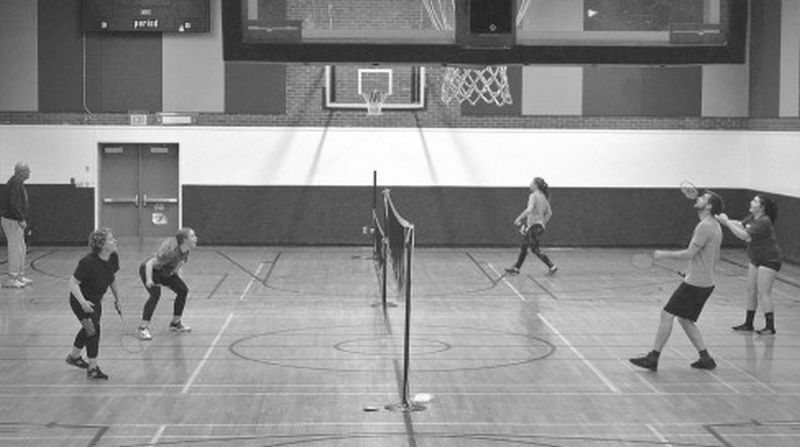 McLennan Community Badminton Club, now in its second year, started early this year with the first meeting at the end of September and will run until the end of February. The club, organized by the McLennan Recreation Society, meets every Thursday from 7pm to 8pm at the Ecole Providence gym. The Badminton Club is free but participants should bring their own gear if possible, as there is limited equipment available. Anyone over 12 years of age is welcome to join the Badminton Club but must sign a waiver prior to participating. The club is non-competitive but many of the people who show up have a wealth of experience to share. “There are a lot of people who come out who have a lot of knowledge and experience,” she says. “Like last year we had people who had played badminton competitively throughout high school and they were able to help some of the younger people. Schaefer, who has been a badminton coach at G. P. Vanier for four years, says players at all levels are welcome to join the club, including those who have never played badminton before but would like give it a try. For more information about the McLennan Community Badminton Club email Melodie Schaefer at mschaefer@hpsd.ca.